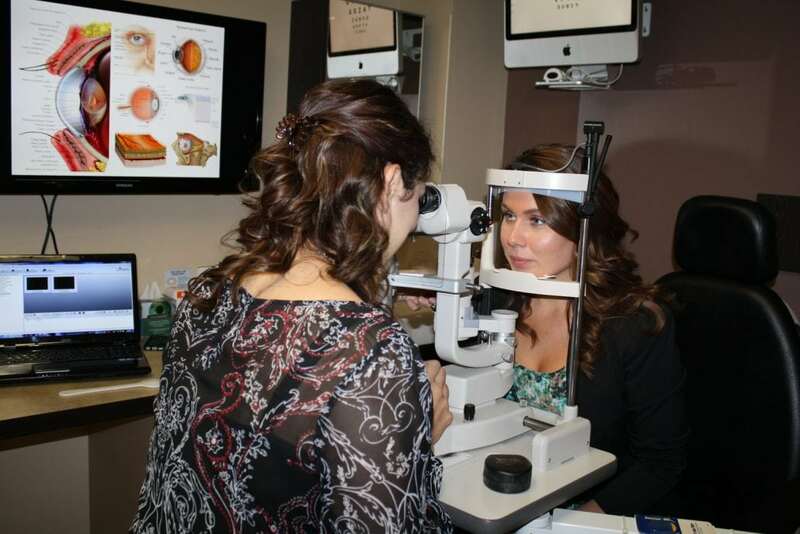 At Mission Eye Care, our Optometrists are highly trained in the treatment and management of eye disease. We can prescribe any topical or oral medications needed to effectively treat eye conditions and we pride ourselves on having the latest technology and diagnostic imaging equipment. Alberta Health provides full coverage for visits for medically necessary eye problems such as eye infections, inflammation, sudden vision loss, foreign body removal, and other medical eye conditions. There is also full coverage for the management of glaucoma, pre/post operative surgical care, and ongoing management of diabetic eye health. Coverage for eyeglass prescriptions is not publicly funded by Alberta Health. Our office also specializes in treatment of the following eye problems. Technology has advanced when it comes to eye care, and we pride ourselves on having the latest equipment to diagnose and treat eye disease. Here are just some of the new diagnostic machines you may encounter during your visit with us. This machine has revolutionized our ability to find and follow retinal disease. Prior to this technology, the only way to examine the outer reaches of the retina was to dilate the pupils. These eye drops rendered patients light sensitive and unable to focus for hours. There was also no way to photo-document anything found. This new device uses low energy lasers to reach the outer reaches of the retina to capture a full 180 degree high-res image in less than a second, without the use of dilating drops! In addition, it allows us to better diagnose retinal conditions based on the wavelengths of light they absorb and emit. A truly amazing tool for eye disease management. This infrared imaging device allows us to visualize the health of the glands inside your eyelids that supply the outer layer of your tears. Dysfunction and atrophy of these glands is by far the most common cause of dry eye disease. Once a gland has died, it never comes back, and the more that drop out, the more significant and harder to treat the dry eye becomes. By imaging and tracking the health of these glands, we can prevent the gland blockage and dropout that leads to eyelid disease and the resulting dry. red and irritated eyes. In conjunction with our new i-pen tear osmolarity tester, we are well equipped to effectively monitor and treat dry eye disease.